If you have shoulder pain or are suffering from a shoulder injury, expert shoulder surgeon Leon E. Popovitz, MD, of New York Bone & Joint Specialists can help. Dr. Popovitz and his team of the best arthroscopic shoulder surgeons in NYC offer minimally invasive shoulder surgeries. They care for patients in the NYC practice’s Upper East Side and Midtown West office locations. Click on the online scheduler to book your exam, or call your closest location. Why do I need arthroscopic shoulder surgery? Your shoulder is a ball-and-socket joint made up of your upper arm bone (humerus), collarbone (clavicle), and shoulder blade (scapula). These bones are held together and are able to move freely because of strong bands of connective tissues, such as ligaments, tendons, and muscles. Arthroscopic shoulder surgery is also often necessary if you have severe tissue damage from osteoarthritis or rheumatoid arthritis. It’s even sometimes used for shoulder replacements. An arthroscopic procedure can also help diagnose a shoulder injury or condition if a digital image, CT scan, or MRI aren’t clear. In this case, minor shoulder repairs can often be made at the same time. During your arthroscopic shoulder surgery, which is typically performed under general anesthesia, Dr. Popovitz makes at least two to three small incisions. He’s able to insert the narrow arthroscope into one incision, and will then guide thin surgical tools into the surrounding incisions. The arthroscope projects live images onto the monitor so Dr. Popovitz can get a close look of your shoulder capsule and make the most accurate repairs. Once your shoulder surgery is complete, surgical glue or a few small sutures are all that’s needed to close the incisions. In most cases, you can return home the same day. How long is the recovery after arthroscopic shoulder surgery? Because arthroscopic shoulder surgery is minimally invasive, your downtime is much quicker compared to traditional open surgery. Usually, Dr. Popovitz will ask you to perform passive exercises within a few days of your surgery. He may set you up with a physical therapist to help you perform these exercises. Expect to be in a sling for up to three to four weeks, with limited mobility in your treated arm. With each passing day, you will continue noticing an improvement in your shoulder. You should experience a full recovery within about eight to twelve weeks of your arthroscopic shoulder surgery, depending on your specific procedure. 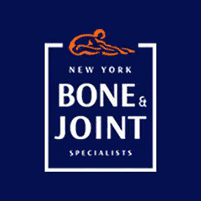 The team at New York Bone & Joint Specialists care for you every step of the way. Book your appointment with the best arthroscopic shoulder surgeons in NYC online or over the phone.